5 november, 2011 Säg något! 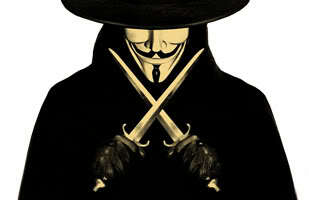 Its the fifth of November again! Last year I did a post on this exact same thing, and that was that I wanted to see V For Vendetta. Love that movie. Well this year it is happening! I’ve bought the blu-ray version of the movie and later tonight I’m gonna watch it together with Elden. We are told to remember the idea, not the man, because a man can fail. He can be caught. He can be killed and forgotten. But four hundred years later an idea can still change the world.